It is incredibly quiet, Panay said, and it has a signature keyboard, with 1.5mm of key travel. Other features include Instant on and Windows Hello. The display has 3.4 million pixels, with a best-in-class contrast ratio, and the thinnest LCD on a laptop. Naturally, it has a quad-core, 8th-gen Core CPU that’s 85 percent faster than the original Surface laptop's. And yes, it ships in black. It’s still about 1.7 pounds. 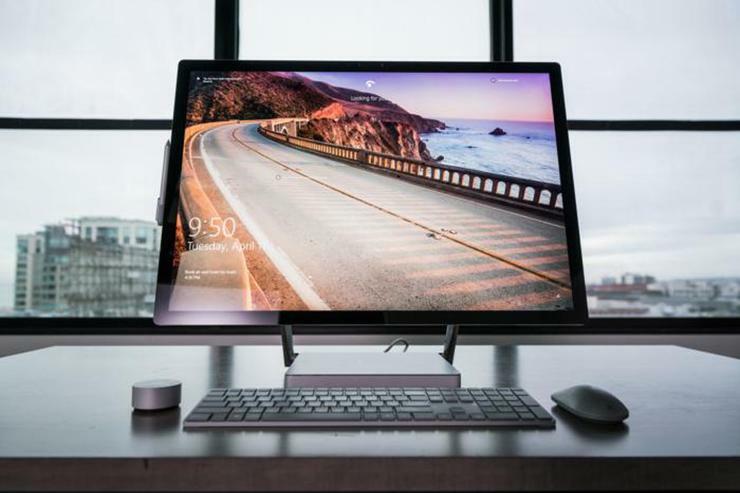 While the original Surface Studio used a number of mobile components, they approximated desktop power. There was a 2.7GHz Intel Core i7-6820HQ and Nvidia’s GeForce GTX 980M 4GB GPU, plus a whopping 32GB of memory, a massive 2TB hard drive, and a 128GB SSD for caching. For the Surface Studio 2, Microsoft has moved up to 8th-gen quad-core Core i7 CPUs, Nvidia Pascal-based graphics, and a whopping 2 TB SSD. Finally, in a blink-and-you'll-miss-it moment, Panay unveiled Microsoft Surface All Access, described as “all the Surface you want for $24.99 per month.” Is this a leasing program? Panay didn’t explain.